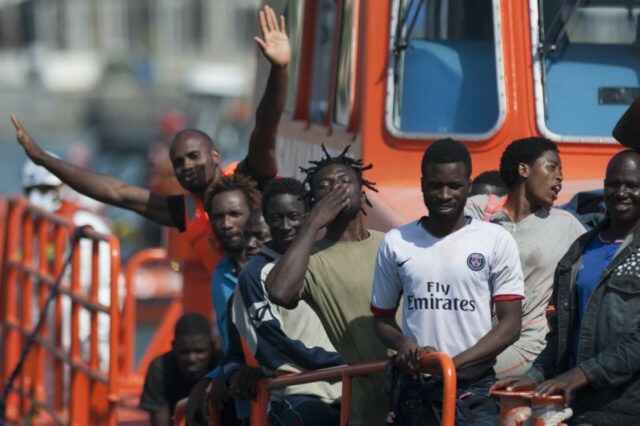 The European Union’s (EU) attempt at tackling people smuggling is failing and the terror threat remains high, the executive director of the bloc’s border agency has warned. Frontex boss Fabrice Leggeri said there was “more and more” smuggling in the West Balkans driven by “more flexible” organised and migrant crime groups. Speaking to the European Parliament last week, he also warned that undetected arrivals of migrants from Algeria and Tunisia presented a “security concerns”. The terrorism threat “remains high and we must be certain that there are no frontier crossings to the EU that are not intercepted, as this would be to the detriment of European security”, he said. As a solution, however, he called for the EU rather than the nation-state to take more power in the fight, urging a “more integrated” approach to border control. Although landings from Libya have decreased, official estimates show those from Tunisia are rising. Overall, “arrivals were 62 percent less than over the same period last year”, Mr. Leggeri explained. An estimated “71 per cent of migrants left from Libya, compared to 95 per cent in 2017, but 20 per cent in 2018 came from Tunisia”, he added, describing a “sharp rise in arrivals” of migrants from Morocco and Algeria registering in Spain.